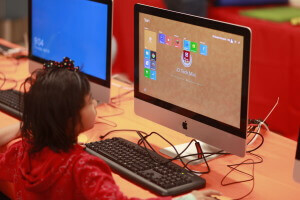 A group of 60 youngsters from ages six to nine years old experienced a week of tech fun at Sutter Elementary School in sunny Santa Clara, California over spring break. 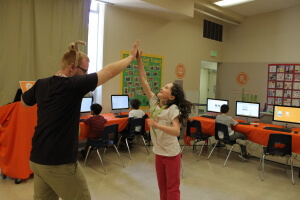 Launched for the first time ever, iD Tech Mini, our new initiative for rising 1st to 4th graders, took over Sutter for a week of innovation and tech creativity. Five days was enough to ignite the minds and excitement of these elementary school students, with campers experiencing robotics courses, and classes in programming, Minecraft, and Photoshop during half-day or full-day sessions. The camp staff at iD Tech Mini, with a wide range of previous experience under their belts (everything from four to eight years! ), was made up entirely of returning instructors and coordinators, along with a director who returned for her fourth year at iD Tech. At the end of the week, it was evident that students were thrilled with camp. Parents were too. "My daughter really loved [Junior Adobe Photoshop Designer]," said Bobby (a father to one of the girls in attendance) in his evaluation of the program. "We would definitely do this again." 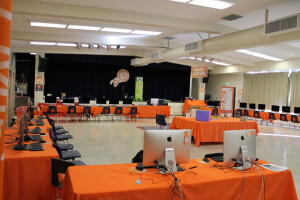 In addition to personalized curriculum with engaging and knowledgeable instructors, students delved into hands-on learning at the Maker Station, a central area stocked with tech gadgets and toys to encourage discovery and collaborative play. The kid-friendly learning environment was energetic, upbeat, and stimulating for students, and was certainly one of a few favorite experiences of the entire camp program. 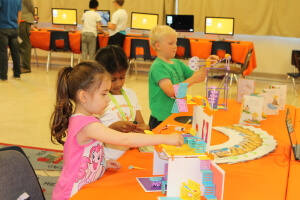 Following directions from a designated Maker Station instructor, students received a mix of guided and free play, with educational and fun toys and games. Campers got to experience the Maker Station in shifts, providing a break from computer time to engage in tactile learning. Products like the GoldieBlox Dunk Tank Construction Set, ThinkFun Robot Turtles, Roominate Chateau, and more resulted in around a dozen campers requesting more time to play. There was even a piano made out of bananas, courtesy of a MakeyMakey invention kit! 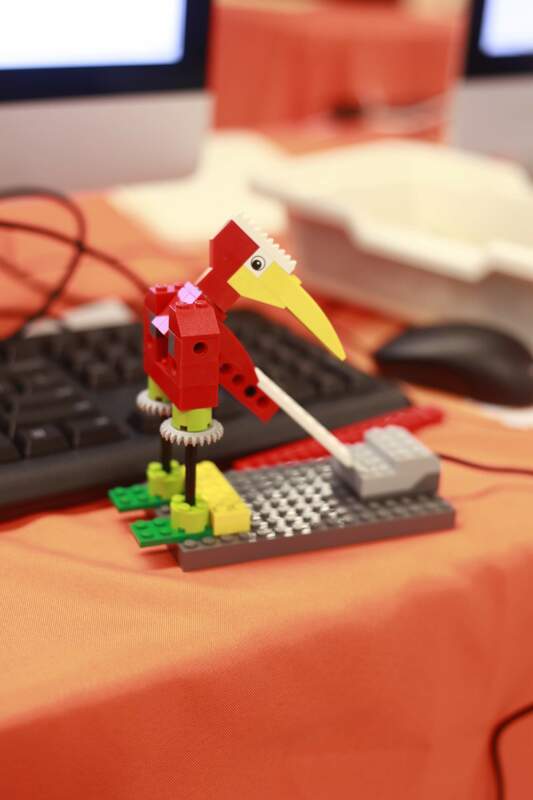 Another popular section of camp was the space designated for the Robotics Engineer courses, where students were designing, building, and programming animal robots, like the one below. "Our kids loved this camp," said Zsolt, parent to a child who took the Master Robotics Engineer course. "They came home and talked about it and spent much time explaining what they learned." 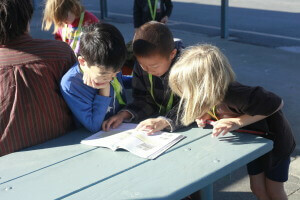 When the students weren't learning on their computers or at the Maker Station, they could be found outside on Sutter Elementary's courts and field, engaging in organized games and outdoor activities, or spending free time on the playground. 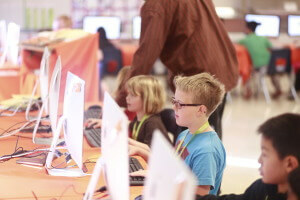 iD Tech believes in a balanced approach to learning, meaning there is plenty of time made for kids to be, well, kids. All in all, it was a successful week for all involved. Check out the photos below for highlights of the week, then head on over to iD Tech’s programs page to secure your spot for summer STEM learning! 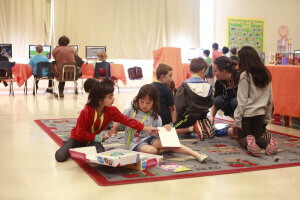 Whether you have a Mini camper or an older innovator, iD Tech has a course (or two, or three!) waiting for you to discover this summer.